destined to make your ambiance lift with happiness and smiles. 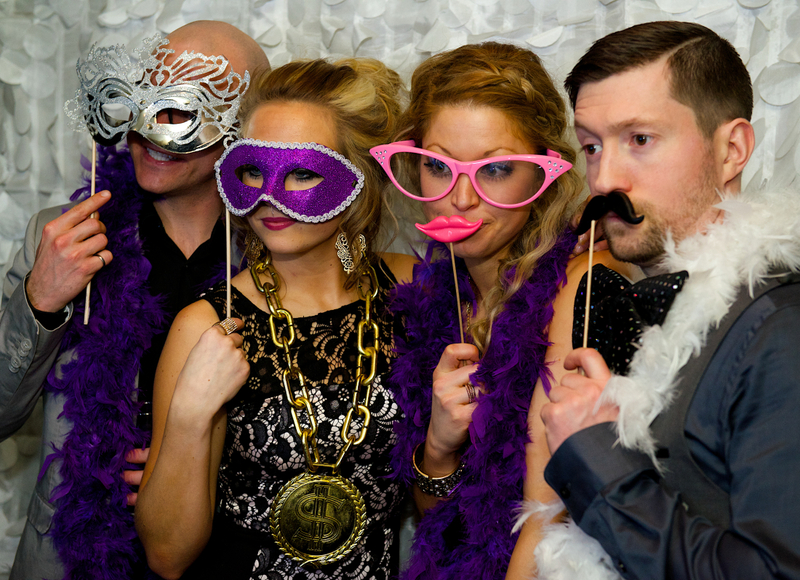 Make your wedding reception an awesome and memorable one. 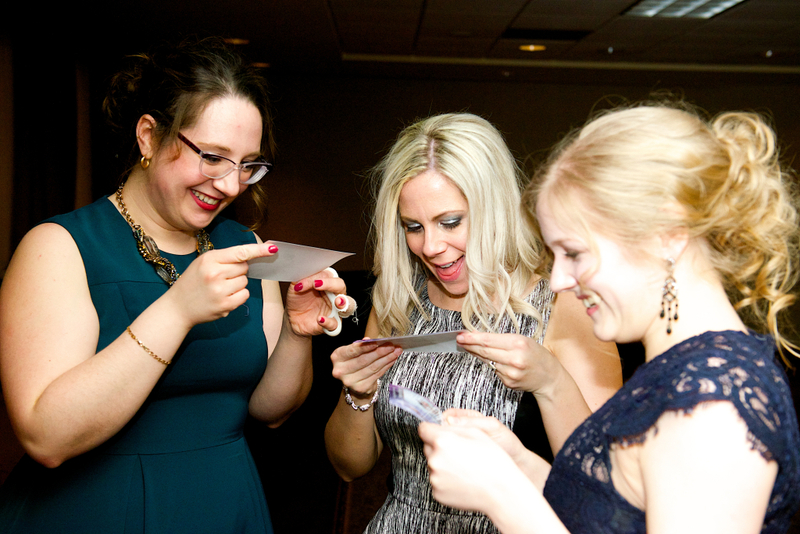 Offer entertainment to enhance your wedding reception’s ambiance, all while lifting the spirit of your guests. You’ll see just how much they enjoy it when they light up with laughter and smiles. 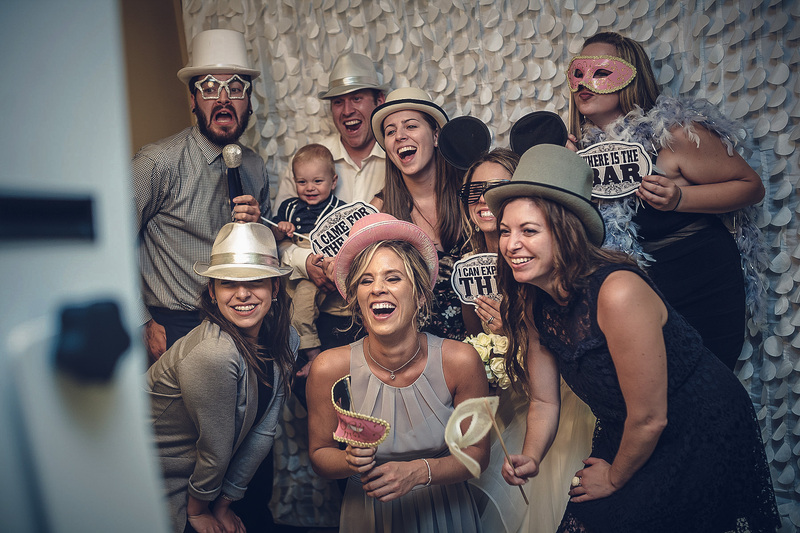 Our professional services will have you and your guests smiling during the entire rental. 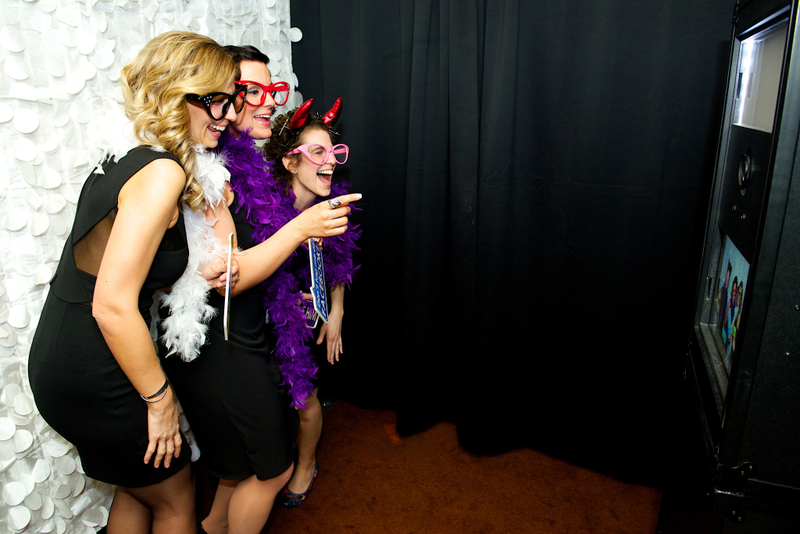 We offer a fun and unique photo experience that is a great form of entertainment. 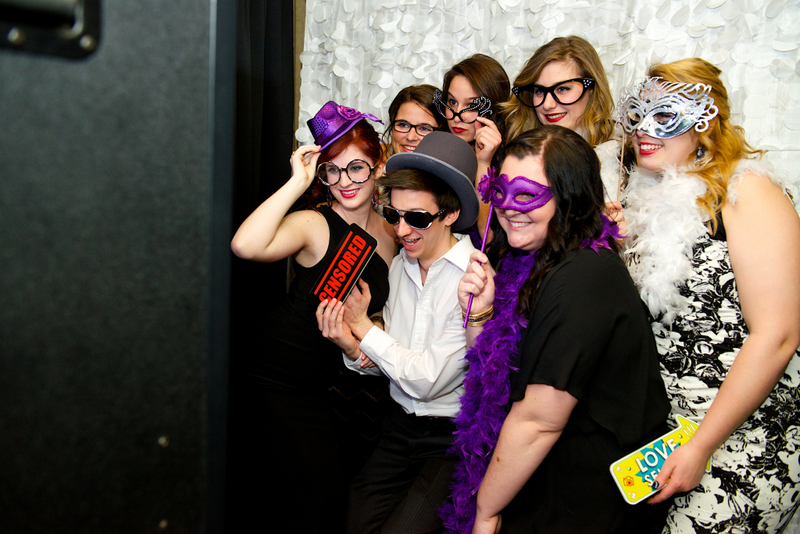 Our photo booth produces crystal clear prints that create perfect souvenirs for all types of special events. 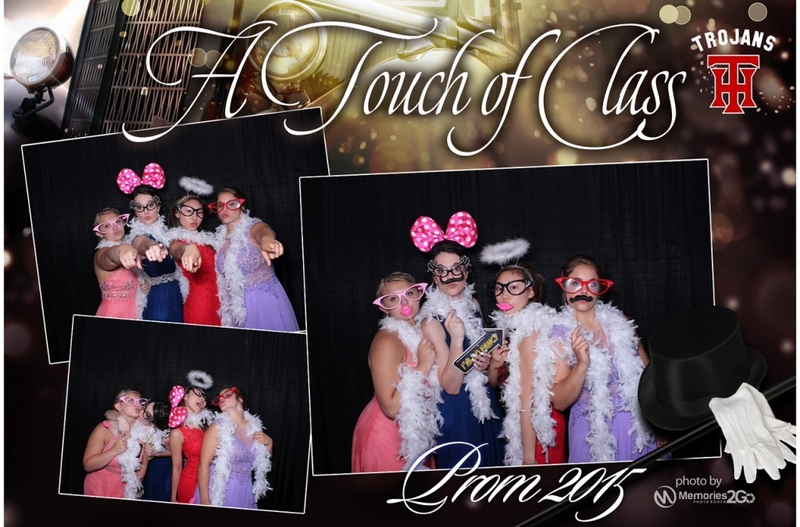 What’s even better is that our photos print instantly on location within 10 seconds. 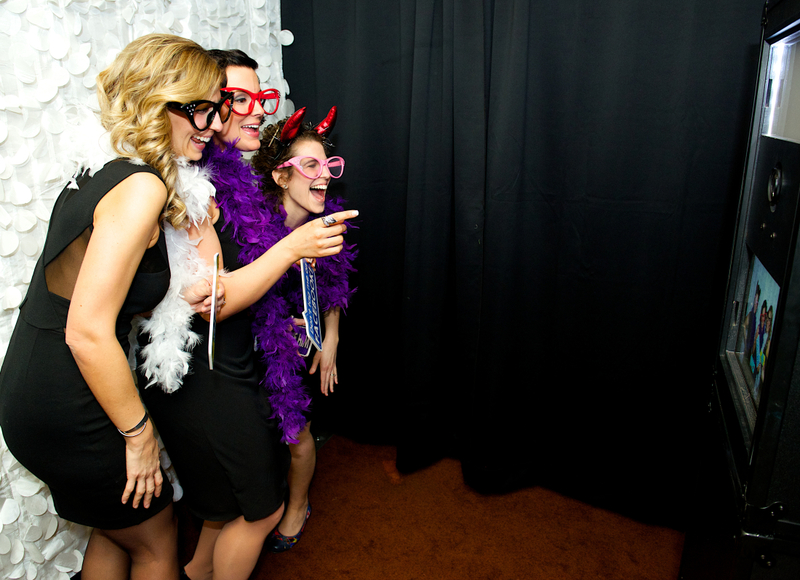 Photo frames are designed to go with your event theme and are fully customizable. Every single guest in the picture gets a printed copy. High quality sourced props that fit your wedding colors along with standard neutral coloured props. Let your guests create a custom scrapbook right on the spot! After each photo session, an extra copy is printed and placed on premium scrapbook paper. 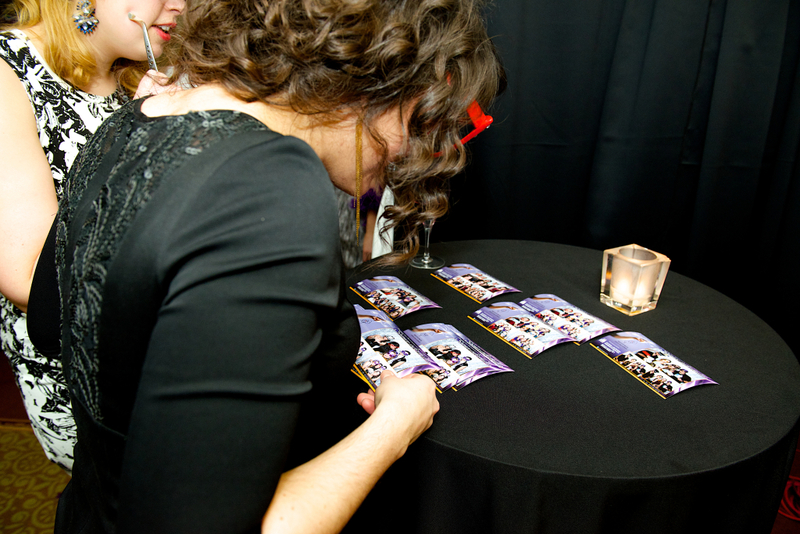 Guests are then invited to sign and leave a congratulatory note next to their photo. 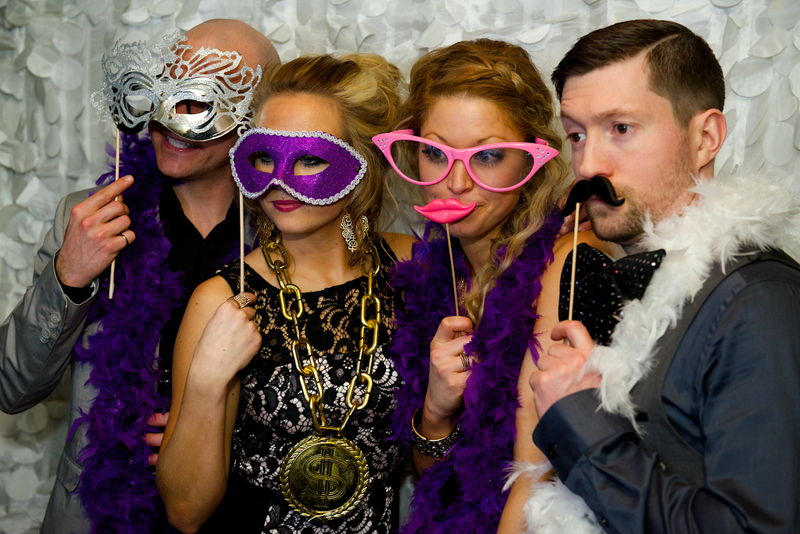 Luxurious backdrops to add sparkles and bling to your photos to impress your guests. 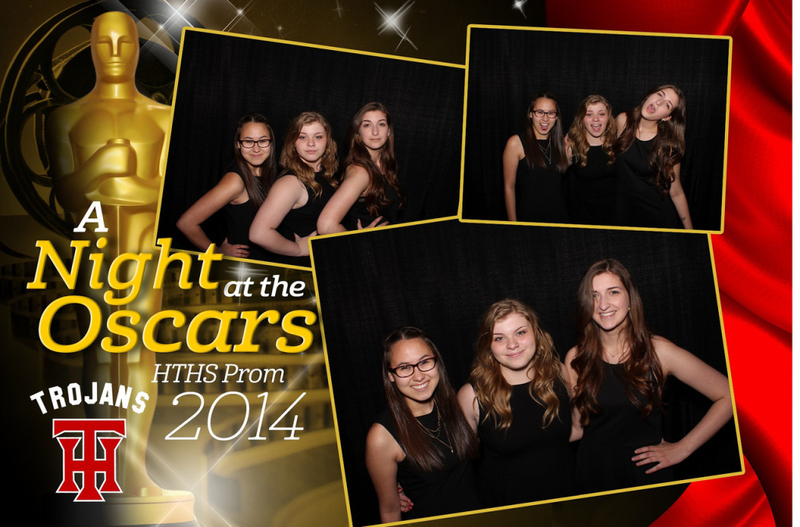 Instant slideshow of all pictures taken in the photo booth on a TV display. 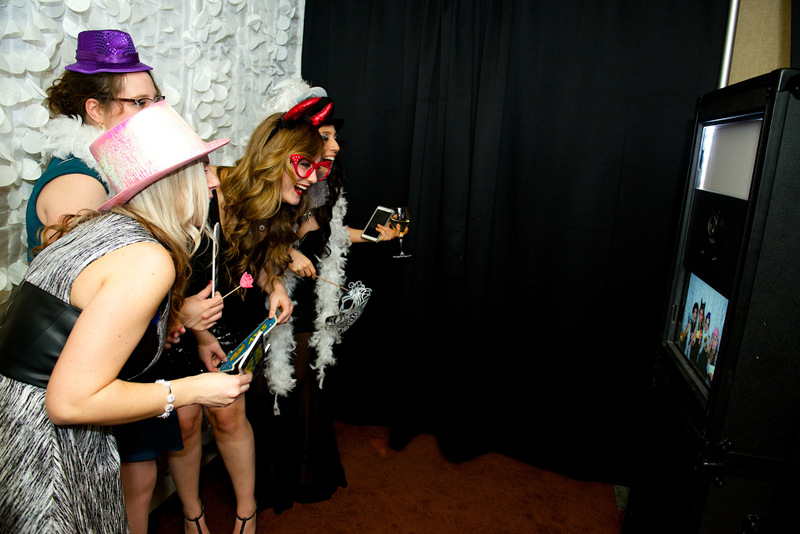 Pipe and drape curtains surrounding the photo booth to create a more intimate and private experience. 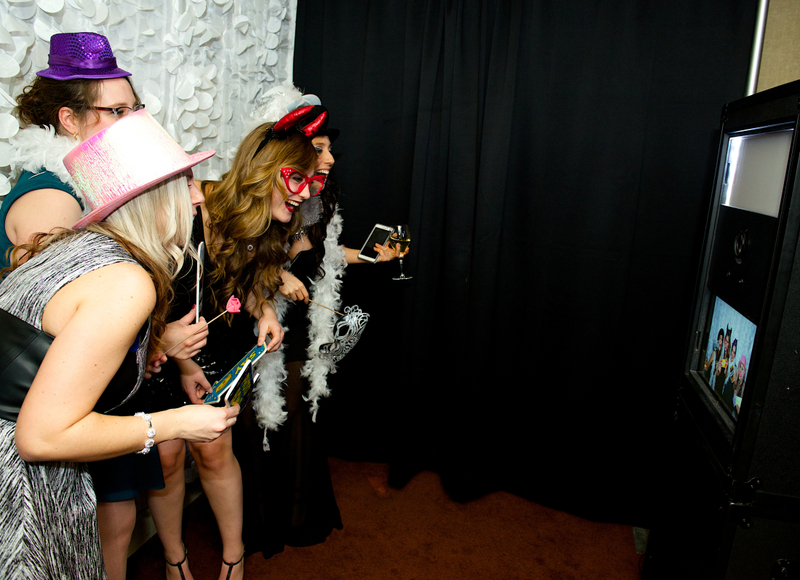 It’s no secret that our photo booths take beautiful photos! What’s even more awesome is our instant prints use premium glossy paper. You also get access to an online gallery to view all of the gorgeous high-resolution images. 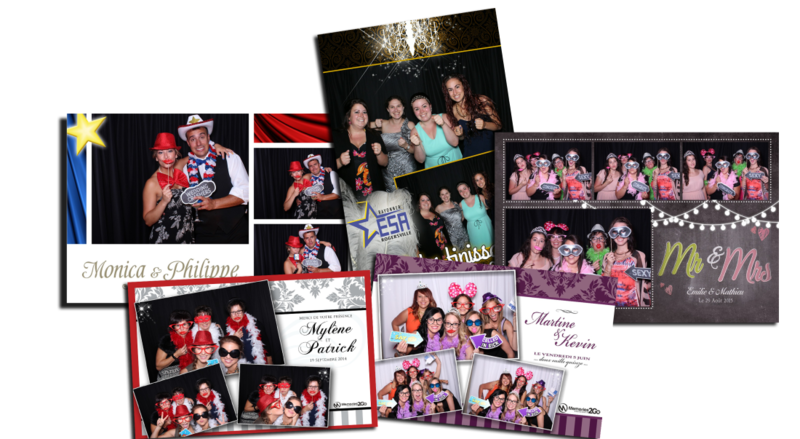 A custom photo template is created specifically for your event. We will customize the logo, graphics, colors, and fonts of your template to match the design to the theme of your event or your brand. Unlimited sessions really are unlimited. 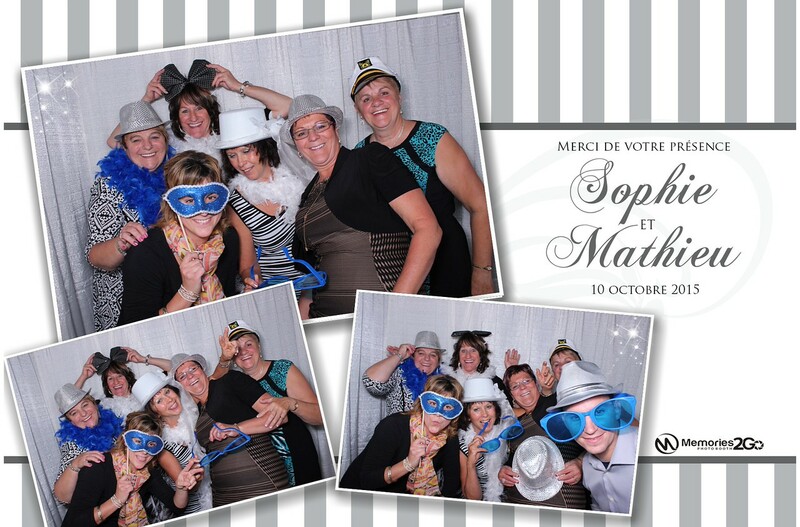 Want a photo with your team of co-workers? Go for it! Want to take a photo with your boss? Sure. Come as you please to snap some awesome photos. 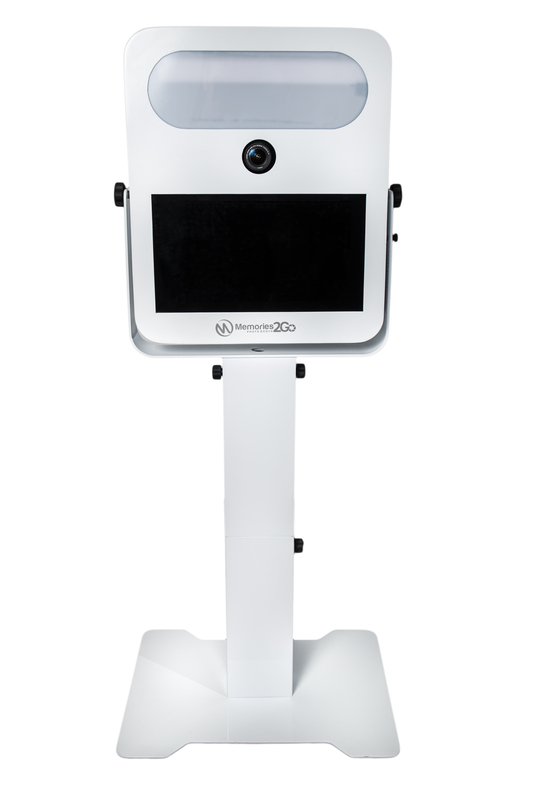 After each session, photos will instantly print out within 10 seconds. 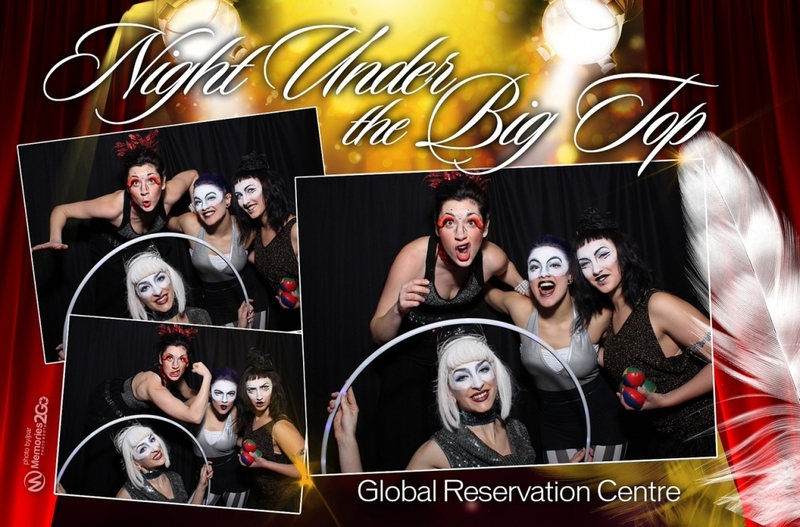 We offer a wide variety of high quality props that range from fun to fancy to make your event that much more awesome! 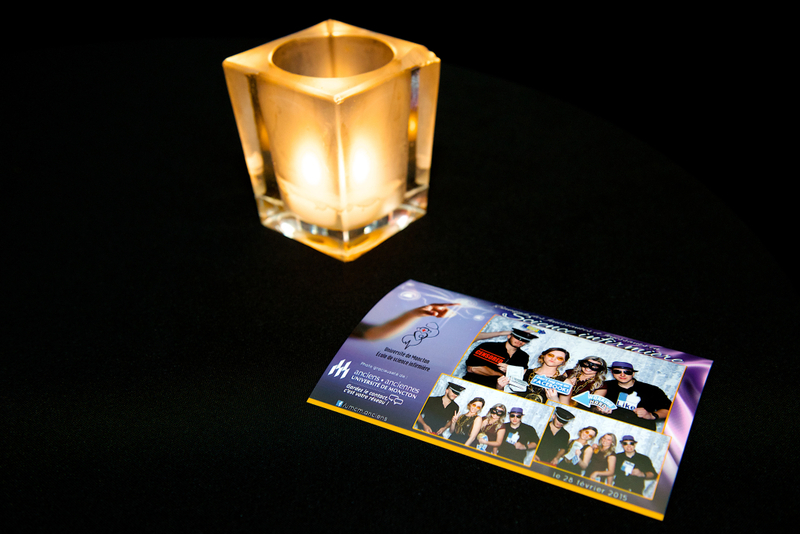 Props are matched to fit the colors and theme of your event or brand. Custom props can also be sourced and created specifically for you. Yes! It’s optional, but way too awesome to pass up. Photos can be sent by email or text message and even directly uploaded onto Facebook or other social media sites. People seriously love these sharing features and we don’t blame them! 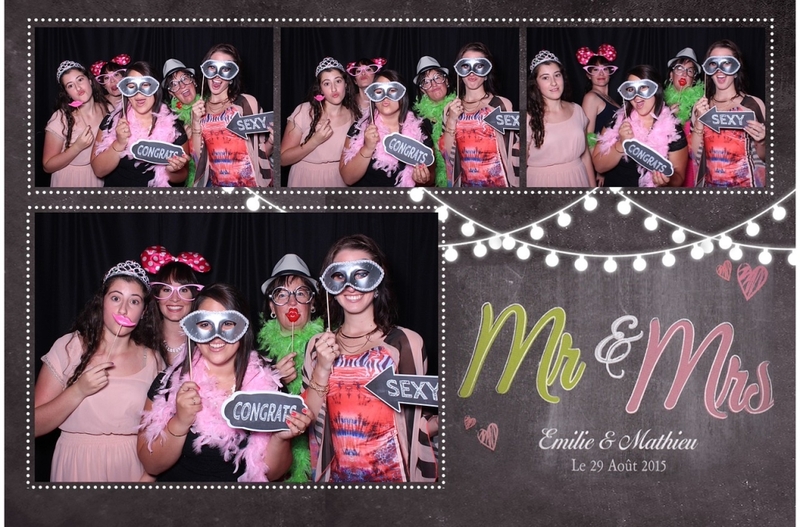 We offer gorgeous photo templates to create the perfect souvenir photo for your guests. From modern to vintage, we’ve got plenty of options to choose from. 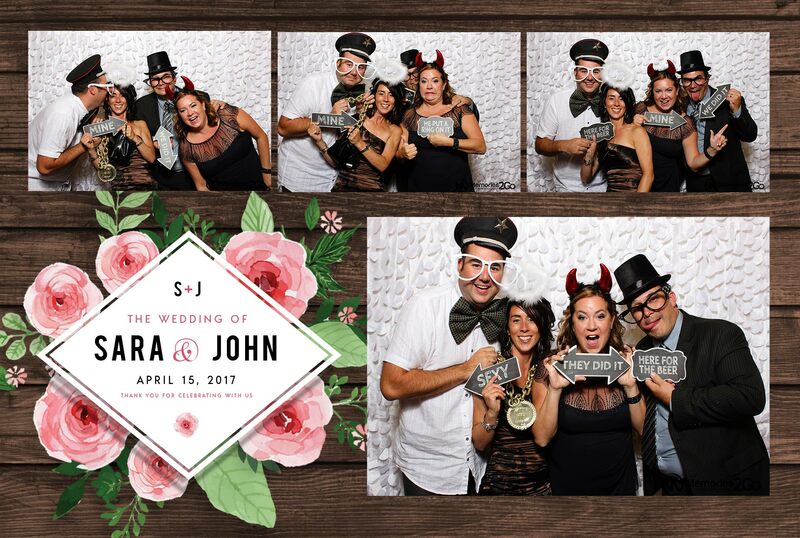 We can add or remove elements as you desire and adapt the design to fit your wedding colors. If you prefer, we can also create a custom design using your weddings invitations to make it extra special for you. Interested? Great! Get in touch and our staff will be more than happy to assist you with your planning needs. 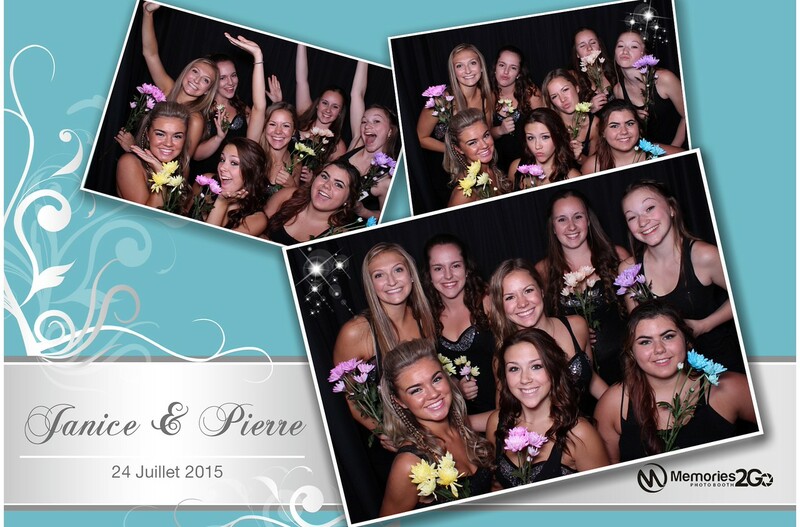 Packages start at just $925 for weddings based in Greater Moncton and vary based on the options you desire. Wedding photo booths are available throughout New Brunswick and neighboring communities in Nova Scotia. 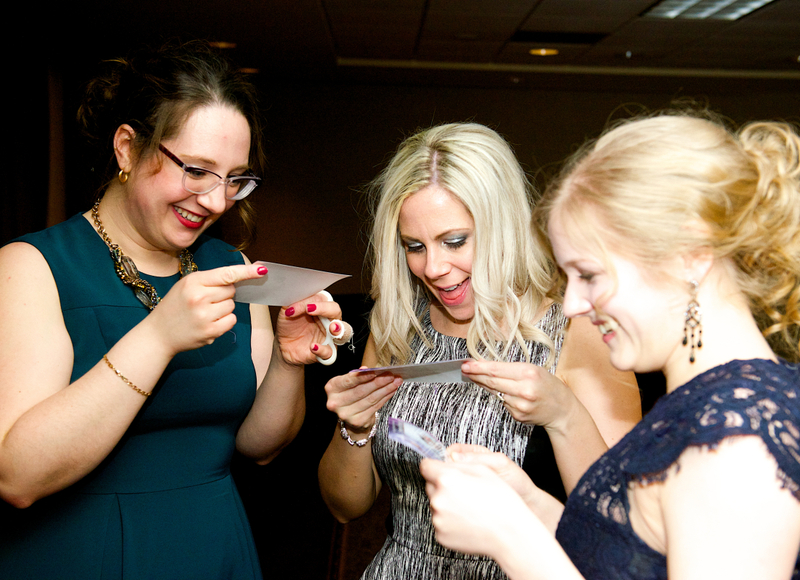 Travel fees apply for weddings outside of the Moncton area.